Ingathering is an annual service that celebrates the beginning of a new year at AUUF. It occurs in mid-August, as the university is beginning the Fall semester. During our summer travels (or our summer staying home) we each collect some water that represents the events of our lives. 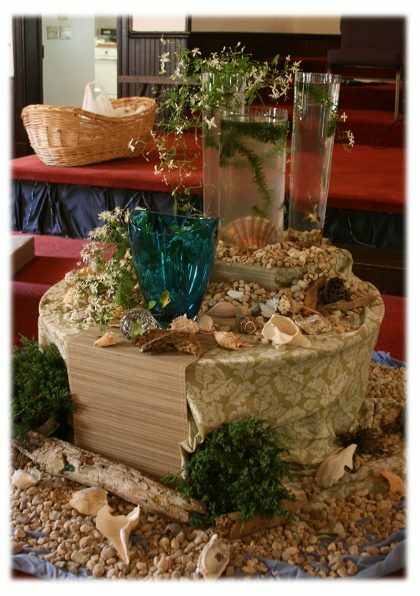 We decorate an altar with a large container, river rocks, plants, artwork; it varies from year to year. We blend those waters during the service as we share our stories. This tradition has become a meaningful part of Fellowship life—a marker of our journey together. 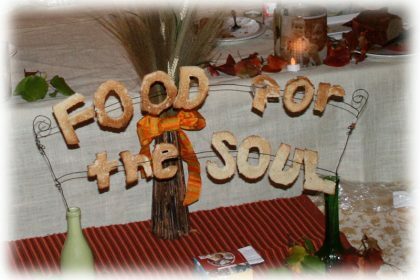 The Bread Service, which occurs on the Sunday before Thanksgiving, celebrates both thanksgiving and sharing. Another altar is assembled, this time to hold bread that has been made by members and friends. It is another service of sharing stories about the bread, the recipe, the thing that makes the bread special. This Sunday also begins and annual fundraising and education program called Guest at Your Table, which raises money for the UU Service Committee’s human rights work. Christmas Eve. One of the sources of Unitarian Universalism is the wisdom of the worlds’ religions . On Christmas Eve, AUUF celebrates the ideals of peace and generosity in the world. We sing carols and read the birth story of Jesus. Members of the Fellowship perform in song and with instruments. The service is followed by hot chocolate and sweets. 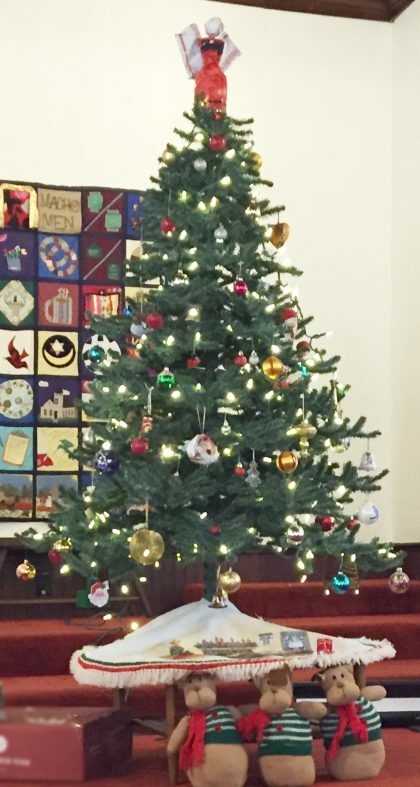 The inclusive nature of Unitarian Universalism and its acceptance of each person’s spiritual path ensures that there will always be creative ways to celebrate Christmas. 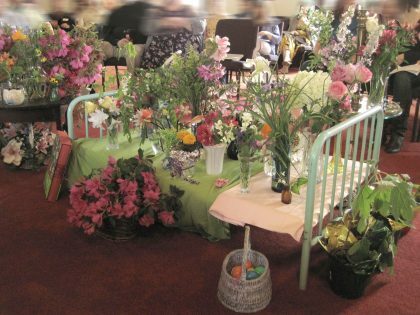 Flower Communion is a service that was begun in 1923 by Czechoslovakia UU minister, Norbert Čapek. It is a symbolic ritual to bind people together. It is celebrated at our Fellowship during Easter. People bring flowers and place them in vases on the altar symbolizing our joining together. At the end of the service, each person picks a different flower to take home. The significance of the flower communion is that as no two flowers are alike, so no two people are alike, yet each has a contribution to make. Together the different flowers form a beautiful bouquet. Thus this service is a statement of our community.